today I subscribed to w magazine. I like the photography in fashion magazines, but have never actually owned any. can't wait for the first issue to come. seriously? 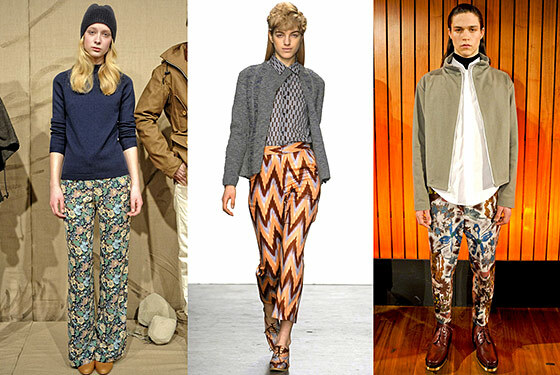 since when is it ok to wear such wack patterns on pants? the nineties were awesome growing up in don't get me wrong, and I love it when retro things come back in style. but these pants make me feel uncomfortable for these models pictured. 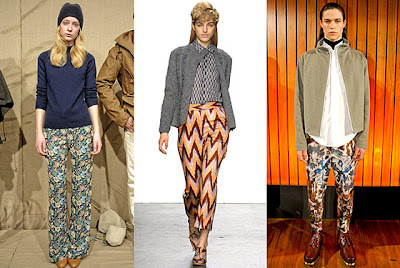 look at the one in the middle, the pants don't even go with the shirt, there's just too much pattern going on. over all, the pants are just trying too hard. you don't see people wearing plaid shorts and stripped shirts do you? I sure hope not.